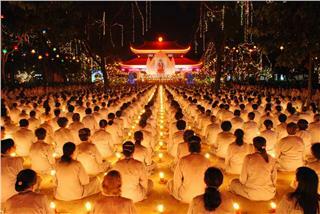 In the course of development, customs and habits are indispensable spiritual field in Vietnamese culture. 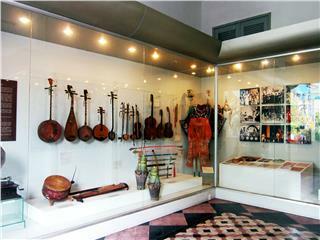 It is the original cultural values of the country strongly that define the identity and the long-lastingness of culture in Vietnam. In the entire history of Vietnam, Vietnamese culture is the combination of native culture, cultural exchange with China, Asian region and western countries. However, with a firm native culture, Vietnamese people keep their culture away from being assimilation, and “Vietnamizing” those cultural features instead. 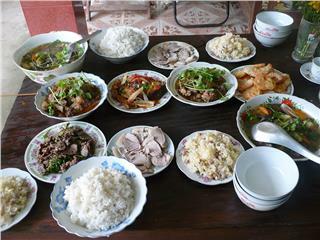 Vietnam culture is characterized by a series of unique customs and habits such as worshiping ancestors, chewing betel, and other customs in traditional ceremonies like funeral ceremony, long-life ceremony, etc. 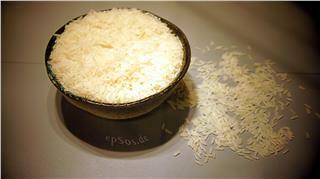 These customs and habits are associated with community of villages, communes. 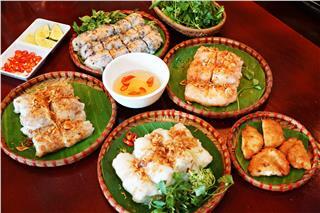 Vietnam is a country of festivals, especially in spring. 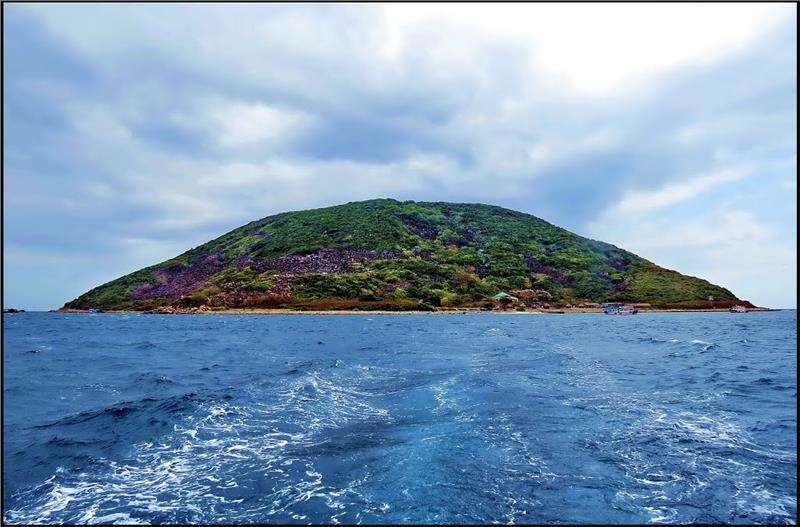 There are several famous festivals featuring Vietnamese culture like Tet Nguyen Dan, Tet Nguyen Tieu, Tet Han Thuc, Tet Doan Ngo, Mid-Autumn Festival, etc. 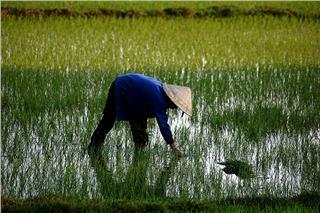 Yet, customs and habits of Vietnamese people vary from region to region, and ethnic group to ethnic group. 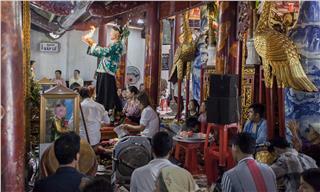 Since thousands of years ago, Vietnamese people have the custom of worshiping ancestors to commemorate their origin. The custom came into being based on the belief of the soul’s immortality after the death. 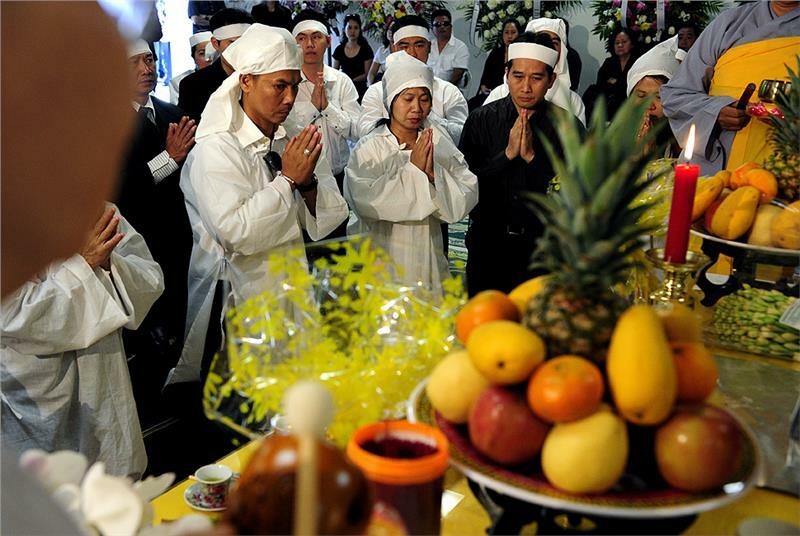 Worshiping ancestors becomes one of traditional Vietnamese customs, ethical norms, and principles. 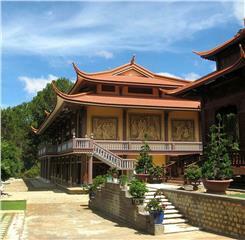 It plays an important role in the religious spiritual life of Vietnamese, especially in the countryside. 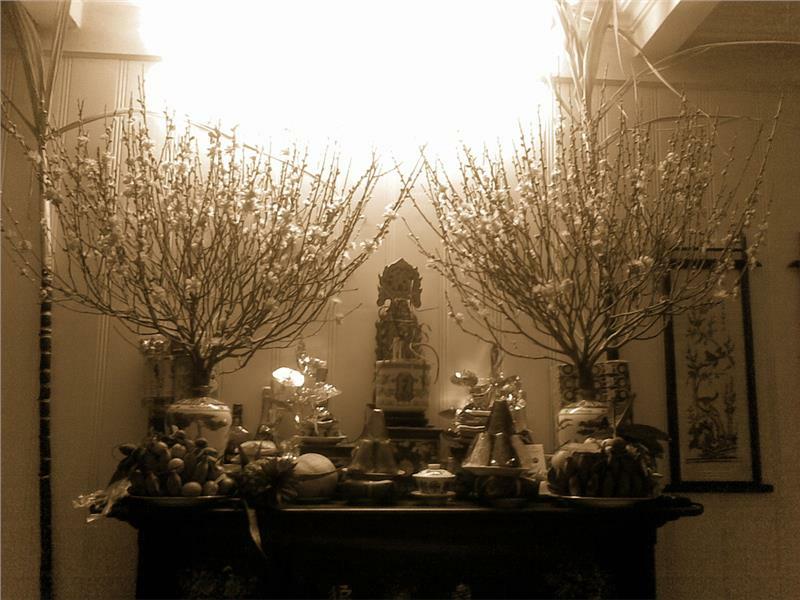 In each family, there is an ancestor altar situated at the most respectful position. In special occasions, here is the place where family members worship to pray for best wishes. 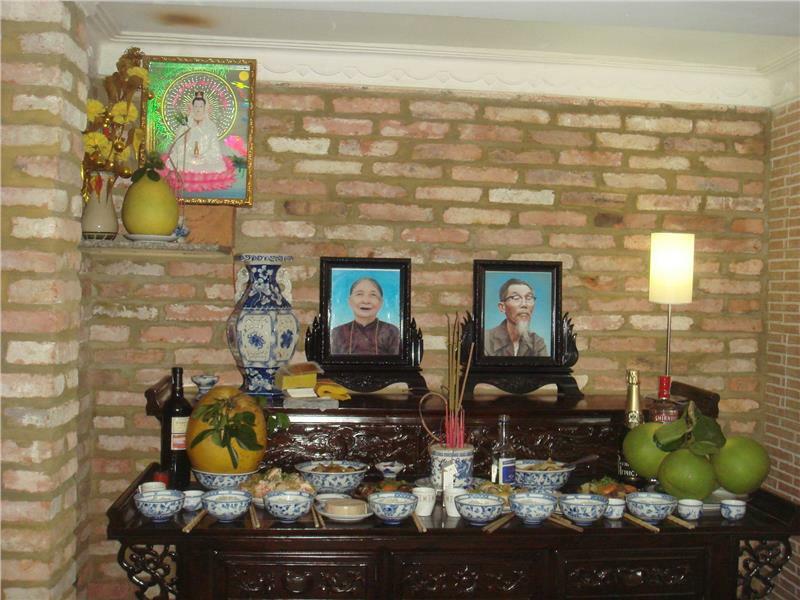 Traditionally, ancestor altar is located in the biggest room of a house with the display of specialized offerings. 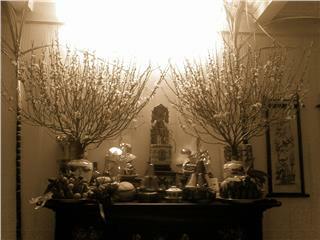 Nowadays, owing to the influence of modern life, few houses have ancient ancestor altars. These altars might be placed on a panel attached to the wall, even on top of cabinet. 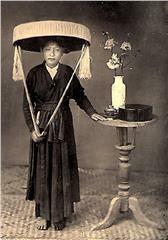 Over the time, there is a change in ways of worshiping, but the Vietnamese custom remains its meaning. 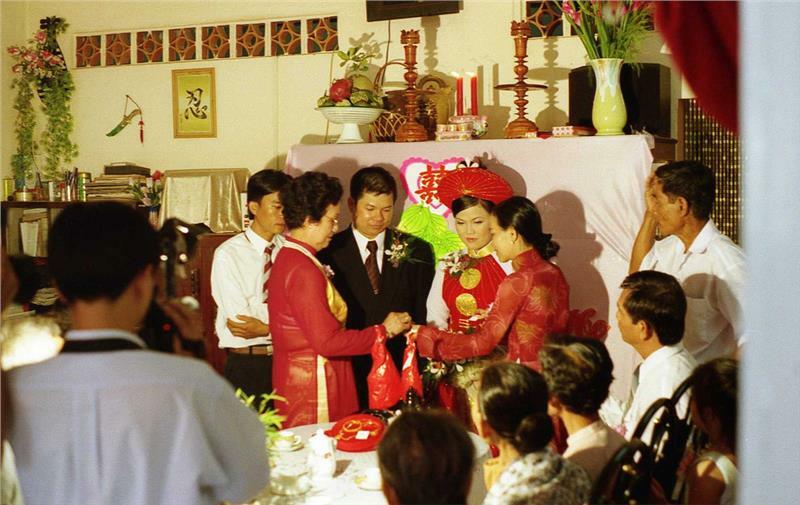 Marriage is one of three most important event in one’s life in Vietnam. Wedding custom in Vietnam is quite complicated. Before an official wedding of a couple, a ceremony of engagement must be held first. In accordance with Vietnamese tradition, engagement ceremony is an official occasion for families of fiancé and fiancée to mark their relationship and to arrange the wedding. Each family need to prepare a representative who is a family member having a happy life and high-ranking position in the family. In the day of engagement, the representatives of two families will have some announcement about the wedding and exchange gifts. The time of wedding is chosen suitably based on lunar calendar. Gifts which are put in trays are prepared by the family of fiancé a few days before the engagement ceremony. The number of trays must be an odd number (5, 7, 9, etc.) which is suitable to the condition of the fiancé’s family. In Vietnamese habits, odd numbers are thought to bring luck to the couple. In the trays, there are betel leaves, areca nut fruits, wine, tea, husband-wife and sticky rice. These trays are covered by papers or cloths in red. In the wedding day, the couple has to stay apart to avoid unlucky things. The family of bride and guests will wait for the arrival of the bridegroom. Before the groom party is due, the bride slips away to don her wedding dress. The wedding ceremony starts in front of the ancestor altar. The bride and groom pray and ask for permission of their ancestor to get married, and receive best wishes in their future family. Next, they bow to the bride’s parents to express great thank for raising and protecting her. Then, they bow to each other to show their gratitude and respect. The master of the wedding ceremony will declare the couple becomes a new family, they take turn to exchange wedding rings, and parents give gifts to the couple. After the marriage, the wedding banquet will be held to introduce the groom and bride to guests who are not invited to the marriage ceremony. Then, the bride will leave for the groom’s house where she will live. Traditionally, Vietnamese people believe that death is one of the most solemn ceremonies as “The sense of the dead is that of the final”. The funeral ceremony in Vietnam undergoes several steps. First, the body will be washed and dressed; then, a pinch of rice and three coins are put in the mouth of the body, then lay chopstick between his teeth. After that, the body is put on the ground with the meaning that “being born from the earth, one must return back to the earth.” Next, he is enveloped with white cloth, and put in to the coffin. Finally, the master of the funeral officially performs the funeral ceremony. During these days, all family members have to wear coarse gauze turbans and tunics, and hats made of straw, or dry banana fiber. Worshiping meals and music are offered to the dead during these days. All relatives, neighbors and friends come to offer their condolences. The funeral procession is conducted. All relatives, friends, and family members join the procession to accompany the dead to the burial ground. After three days, the there is a ritual of opening the grave. After 49 days, the family stops offering meals for the dead to the altar. 100 days later, the ritual of “the end of the tears” is celebrated. The mourning will end after three years. Nowadays, although mourning ceremonies follow simple rituals, they keep traditional meaning and solemn ceremonies to express their respect to the dead. These above traditional customs and habits of Vietnamese people are among the most common ones in all part of the country. Besides, such customs and habits as chewing betel, celebrating long-live ceremony, and other customs in daily life are expressed colorfully and excitingly. 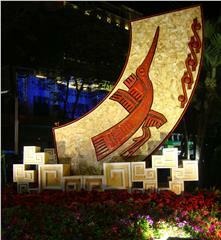 All of them contribute to the unique cultural identities of Vietnamese people.